Alanis Morrisette may not truly understand irony, but there’s definitely one condition listed in her famous song that could have been prevented: “It’s like rain…on your wedding day.” Here’s how to keep that from ever happening: get married inside! Now, if you want to challenge the elements and get married out-of-doors, excellent! And if it works out, all the better! But only God holds the keys to the raindrops. Your local meteorologist? He can’t even predict the weather a few hours from now. Factors influence weather which can whip up a storm out of nowhere in minutes. The only way to truly avoid such a problem is to plan for it. 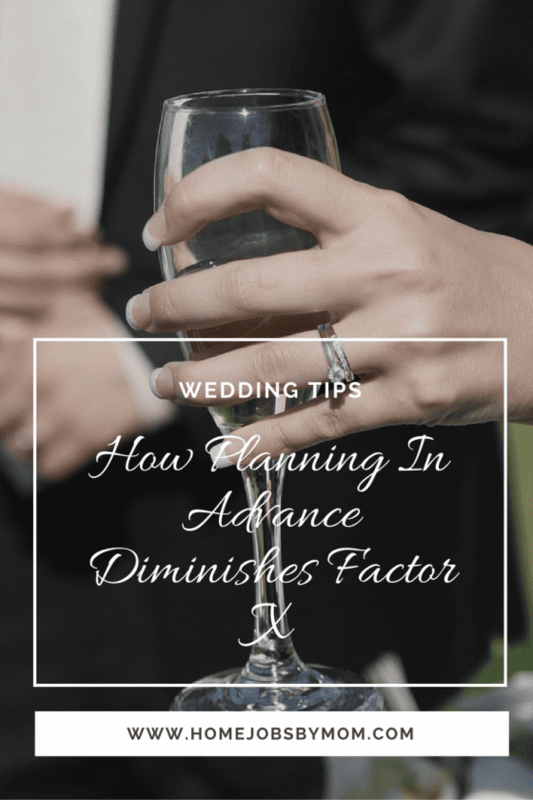 Here are several ways you can plan for your wedding which will help save you from such unwelcome circumstances. Well, not everything. You can probably wait a few weeks to a month before the actual ceremony to book the limousine. Likewise with the men’s tuxes—unless you’re coordinating something extra special with the bridesmaids. Men are usually pretty easy to take care of, style-wise, at most weddings. Speaking of bridesmaids and dresses, you’re going to want to get this step taken care of as far out as you can. Firstly, who knows what kind of choosiness may come to bear in the selection of dresses? You want things to be perfect; you may find it takes a while to find the best dress. Then you’ve got to find your bridesmaids, get them all fitted, and ensure the stylistic motif of their adornments match the wedding’s theme. Regarding bridesmaids, Azazie advises: “Essentially, you want your bridesmaids to feel comfortable and love the dress as well.” That could take a while. There are a lot of themes you could go with. Those themes will probably be tied to location. Don’t be put off if the man in the relationship isn’t so concerned about where things take place. If you don’t choose something, to make you happy, it’s likely he’ll just suggest any old place “that will work”. To the man, his bride constitutes all that is important about the wedding. He gets her—what more could he want? The details of where and how are going to be foreign to all but a few of the most empathetic men. So get his input on themes if you like, and if he has suggestions—be considerate! But in general, this is going to be up to you and your mother. So figure that out a year in advance, then book vendors. Be sure to list all the elements you’ll require; this will help inform your organization. At the bare minimum, you’ll need a venue and an officiant; both of which can take a little while to rustle up if the marriage is truly to be an event. Additionally, you’ll need catering, floral arrangements, entertainment, a DJ, invitations, a photographer and videographer (combine these if you can), a hairstylist, and patience. This time can definitely be a trying one. A wedding is an integral portion of any woman—or man’s—life. But there is an extra-special nature about it to a lady which often precludes preparation from earliest childhood. When that comes against a reality replete with obstacles, it can induce exceptional stress. Then there’s your family and relationship to consider; both of which may be strained at this transitional time in your life. The further in advance you book vendors, figure out themes, get the right dresses, and plan to allow work-out time to alleviate anxiety, the more even you’ll be mentally and emotionally when the big day comes around. You want that day to be one of joy, not of stress. Yes planning everything ahead far enough that you don’t have to hurry up last minute things to stress everyone out. Look at online sites and ask friends for ideas that you might like and may be cheaper to do also. So much to do for the big day. Thanks for the tips! There A LOT to deal with when planning a wedding.